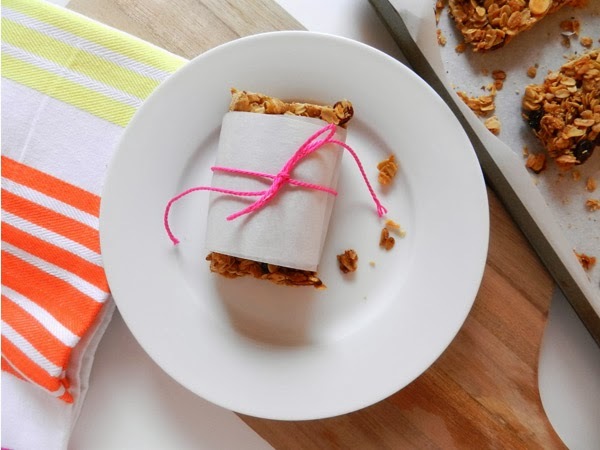 As I mentioned before, I have a tendency to snack frequently and I rarely leave the house without throwing a granola bar (or two) into my purse before I rush out the door in the morning. It's actually a little embarrassing to admit just how many granola bars I eat on a regular basis and I am surprised it has taken me this long to try making them myself. Not only is it a lot cheaper than buying store-bought varieties, but they're surprisingly easy to make too. 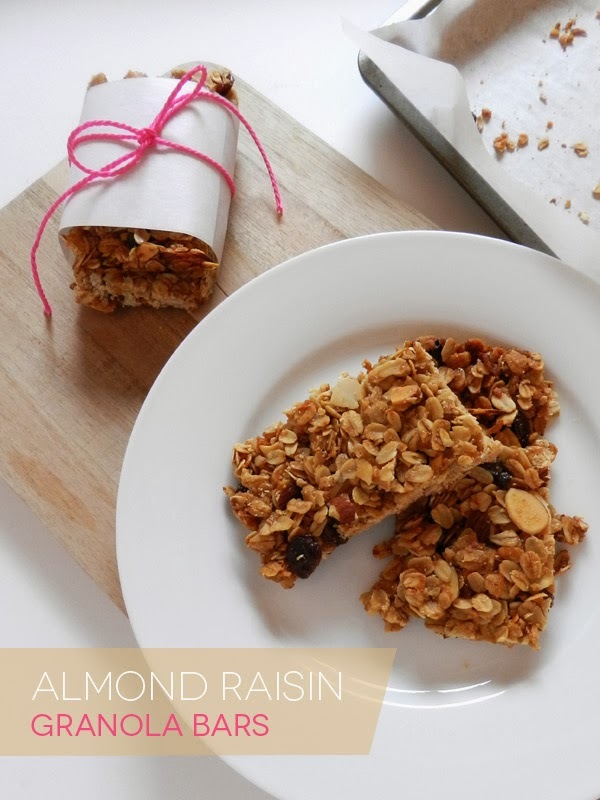 I modified this recipe by replacing the chocolate chips with 1/2 cup of golden raisins and 1/2 cup of slivered almonds, but feel free to use whatever mix-ins you prefer! 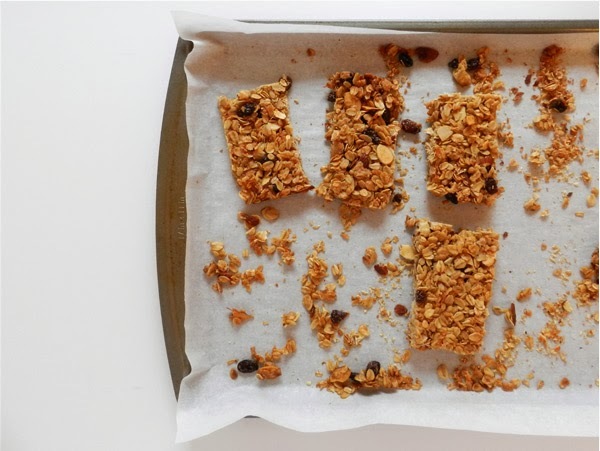 Side Note: When searching for granola bar recipes to try, I came up with an overwhelming amount of possibilities and it was difficult to know how each recipe was different, when so many use very similar ingredients. I kept wondering if each recipe would result in crunchy or chewy granola bars or if the flavor would be more sweet or more salty? Many of the recipes I found did not have a detailed description of the texture or flavor of the finished granola bars, so I have decided to give these a "tastes like" comparison to its most closely related store-bought variety. In my opinion these granola bars are most closely related to the crunchy texture of Nature Valley Crunchy granola bars and are similarly as sweet. I will admit I slightly over-baked my batch of granola bars, so they may have been more crunchy for this reason, although they still tasted great. Also, these granola bars are similarly just as crumbly and brittle as the store-bought version, but again, this does not inhibit their taste and is just something to be noted. I hope this comparison helps and I would love to hear if you try this recipe and how they turn out for you! Photography, design & styling by Jessica of SAS + ROSE. Recipe found here.